"Just landed in Montreal I'm at immigration waiting I lost my Greencard! I gotta (sic) 1 million fans waiting let me in!" Did they let him in??? Of course... 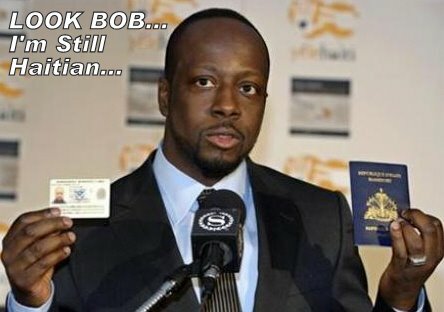 He is Wyclef Jean! "I am in Montreal all went well at immigration ready or not here I come!"